Android App of the Week When Microsoft recently offered users 25GB of free SkyDrive storage it highlighted the lack of a good Android app to take advantage of it. 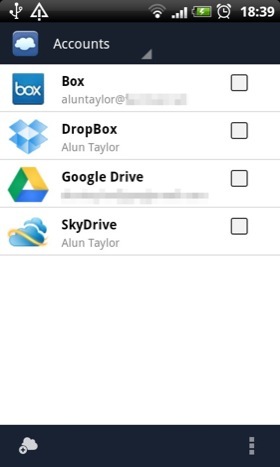 Enter FolderSync, which lets you synchronise your Android folders with SkyDrive and just about every other cloud storage supplier. Set up is straightforward. 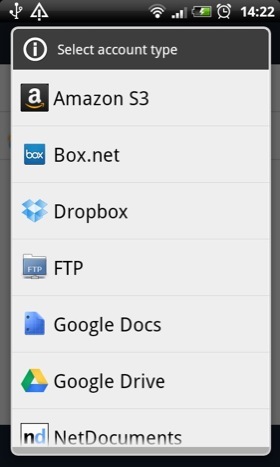 Once you've signed into your cloud accounts, you simply set up folder pairings using the app. The built-in file manager lets you create and manage folders on your phone and in the cloud and then simply links them together. 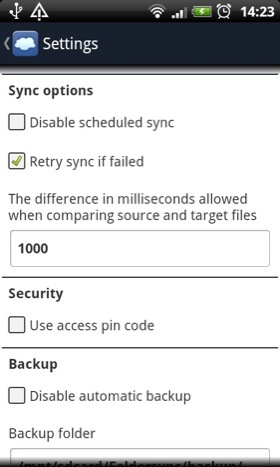 Once paired you can tinker with a whole raft of settings, including when folders sync, whether or not to sync subfolders, and which folder - remote or local - should take priority or make syncing a fully two-way affair. The app works over both Wi-Fi and 3G though by default the latter is disabled to preserve your cellular data. The connection type can be changed for different folder pairings so you can sync small stuff over 3G but leave the heavy lifting to your Wi-Fi connection. The only real restrictions are those placed by the cloud provider. 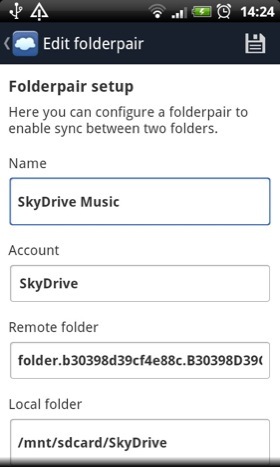 For instance, you can’t set SkyDrive folders to sync upstream automatically because apparently Microsoft’s API won’t let FolderSync do that. 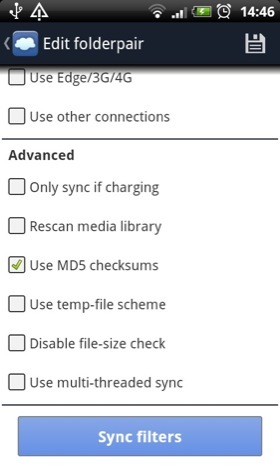 For users of pre-Ice Cream Sandwich handsets there is a rescan media checkbox that ensures your device will always look for new media once a sync cycle has been completed. Some will rightly say this app is a bit of overkill - do you really need to sync content between half a dozen remote servers and your mobile phone or tablet? - and the recent ICS-like redesign has made it a bit confusing for newcomers to navigate around. 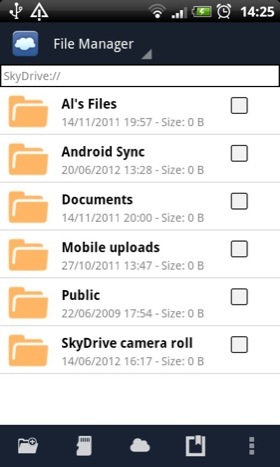 Folder synchronisation for the cloud fanatic.